Every house has areas or entire rooms that are difficult to heat, even if you have optimized your home’s airflow and installed a new furnace. An energy-efficient space heater can make those cold spaces usable and add additional comfort to main living areas. The team at Hercules Heat specializes in selling infrared heaters from their store in East Greenwich, RI. Here they explain what makes them the go-to place for all your supplemental heating needs. If you need a whole-house heating and cooling system, you’ll talk to an HVAC professional. But when your only concern is heating a small space of your home, you’re better off talking to supplemental heating experts. They have experience working with homeowners who want to warm basements, attics, garages, or new additions. They can recommend a model that will heat the room efficiently to avoid unnecessary energy use. The supplemental heating experts can help you select an energy-efficient space heater for your home. Infrared technology is 35% to 50% more energy-efficient than baseboard heaters. Instead of warming the air, it warms people and objects by transforming light energy into heat energy. As heater warms the air around you, you’ll feel more comfortable than when hot air is blown at you. The warmed objects in the room then also radiate the heat out, which makes the entire room feel more comfortable. Energy-efficient space heaters must be built with high-quality materials to last for a long time. They should have quiet fans, galvanized heat chambers, and commercial quartz infrared elements. The right supplemental heating product allows for an even distribution of heat in your room, where the temperature difference from your floor to your ceiling is minor or negligible. 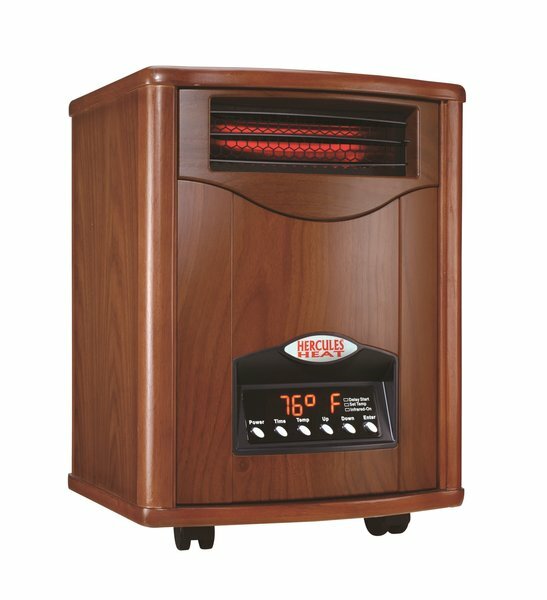 Hercules Heat is proud of their selection of energy-efficient space heaters. Their experienced staff members can introduce you to their line of products and help you select the one that’s right for your space. Every space heater is also backed by a three-year warranty. Visit the website or call (401) 595-0581 for more information. What Is a Quartz Infrared Heater? What Is the Difference Between an Infrared Heater & a Furnace?